The name of brandmauer originates from German "brand”, meaning “fire”, and “mauer”, meaning “wall”. At first, from the mid-XIX century, that was the name of a special fire separation wall which separated one house from another (even then restrained urban conditions caused fires to spread from one house to another). Such wall was solid and plain, without any windows or any openings or breasts. 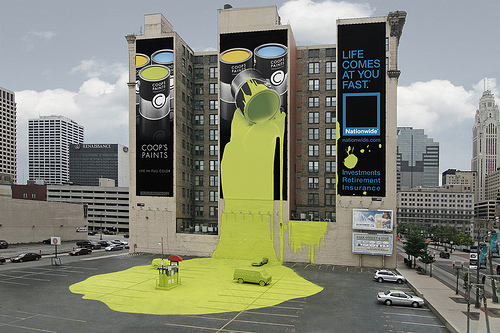 That’s exactly why advertisers some times later took fancy to use such surfaces for large-format advertizing materials, and advertising structures where huge banners were located remained brandmauers till now. Today, brandmauers, of courts are installed not only on blank walls and gable façades, but on windowed façades as well. There are non-standard brandmauers as well. 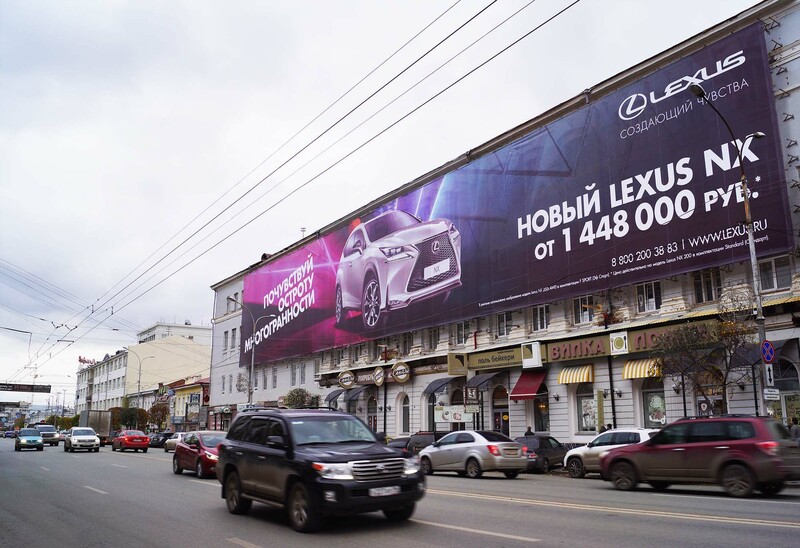 But at any case that is always a large format which is popular for image advertising. 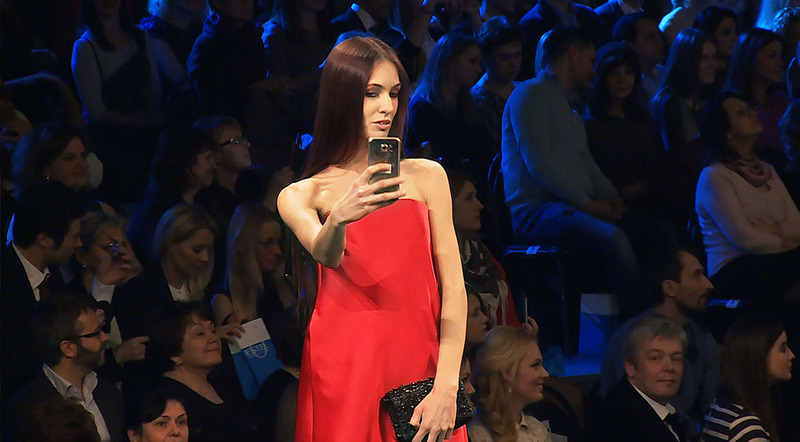 MAER GROUP, being a multi-oriented media holding successfully operating in a number of communication trends on a national scale is an expert in the sphere of image advertising and brandmauers. We have implemented a countless number of projects and unconditionally monitor the situation in our segments. 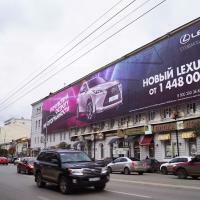 That includes the regions, since the media holding was the first to start image outdoor advertising at the federal level using only its own structures. 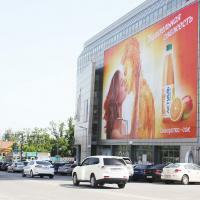 The important factor influencing development of image advertising are very interesting peculiarities of the infrastructure of the capital and the country’s regions. 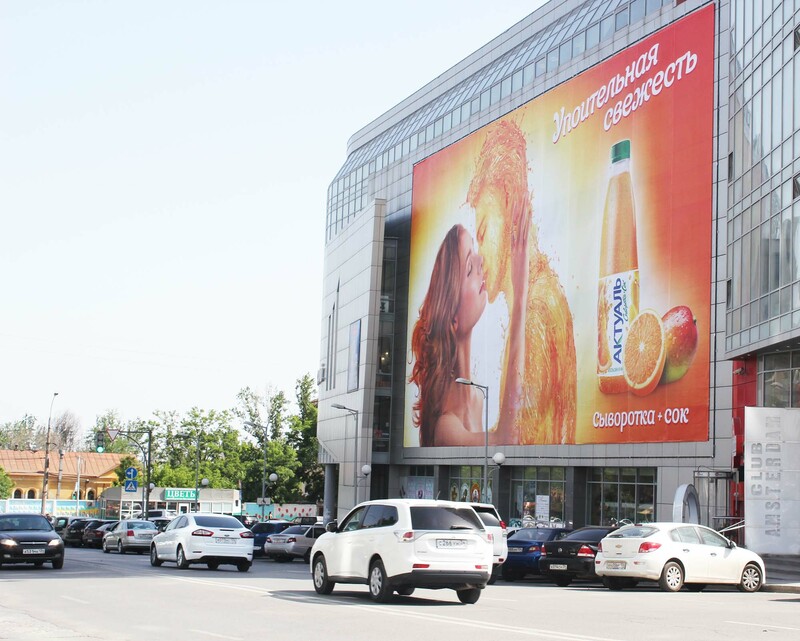 Of course, city center remains the most effective for outdoor advertising from the viewpoint of coverage and socio-demographic characteristics, however, here the analogies end. 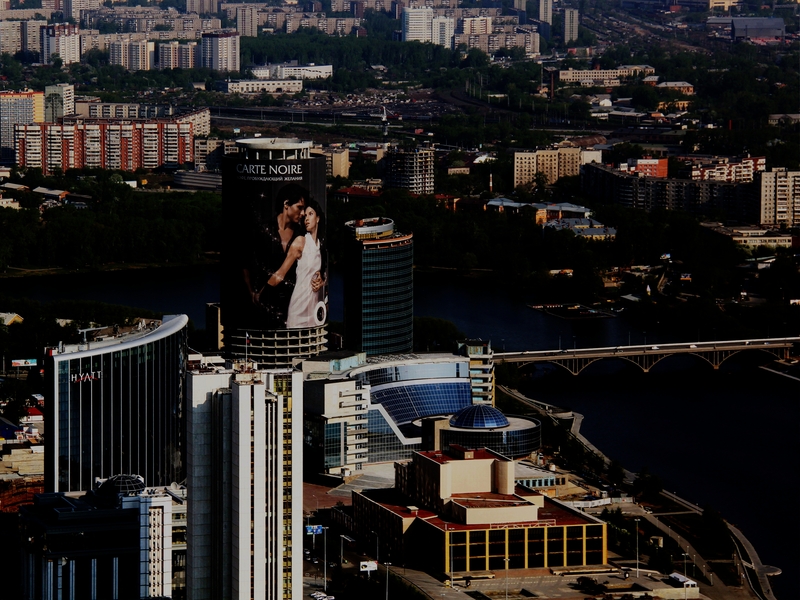 Whereas the historical center of Moscow means mainly low-storey residential buildings and architectural monuments, in the regions, as a rule, various city-forming institutions and enterprises became city centers. 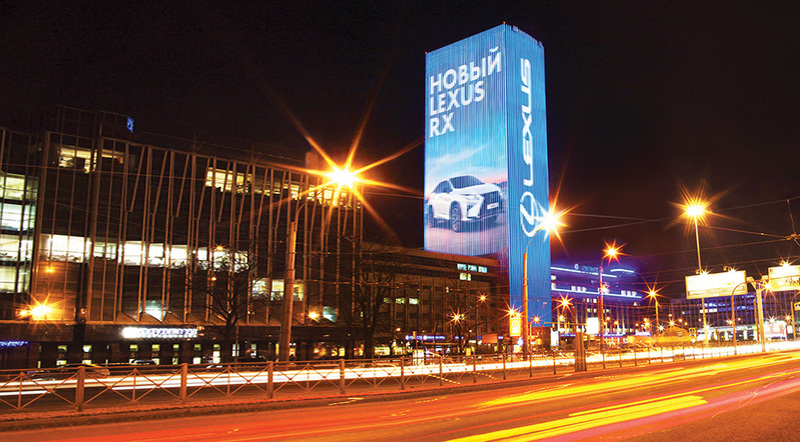 The growth of new cities and regions of the country started in the 30s and continued during the post-war time, therefore, now there are mainly factories, R&D institutions and other industrial enterprises in the centers of large Russian cities. From the architectural point of view, they are more suitable for placing image advertising taking into account their dimensions and number of storeys. In addition, whereas ancient buildings in Moscow’s architectural center are under architectural control and are continuously renovated, the regional giants, as a rule, due to frequent changes of their legal status in the past remain without restoration. In such case placing image advertizing on them makes their appearance more aesthetic, and the overall appearance of the city – modern and beautiful. 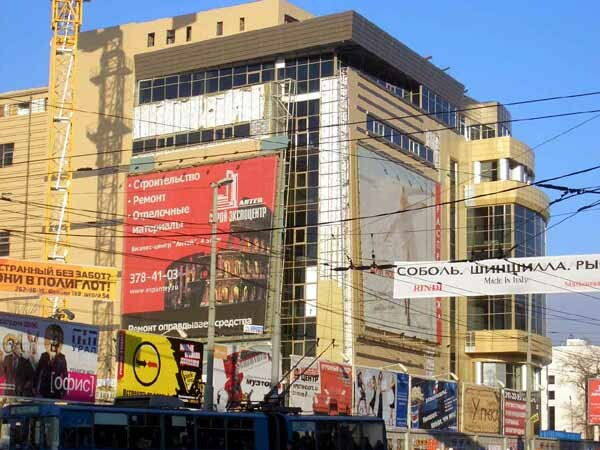 Advanced technologies allow today to place brandmauers on façades of ordinary residential or office buildings, although they of course have windows and other protrusions or bumps. In addition, by using certain materials one can assemble the structure without any damage to the view from the windows. The sizes of brandmauers depend on buildings where they are placed and on the materials used, however, modern canvas welding (or gluing) technologies allow to produce a brandmauer of virtually any size.